Join Hylton Performing Arts Center's Veterans and the Arts Initiative for a reception and exhibition of art produced during a four-part workshop series that explored Women Veteran identities through photography. Sunday, April 7th from 2:00-3:00pm, Hylton Performing Arts Center, Buchanan Partners Art Gallery, Science and Tech. Saturday, April 6th from 9:00-11:00 am at the American Legion Francis Scott Key Post 11 in Frederick MD. The Blessing of the Badges Ceremony honors first responders for their dedication to our community. First Responders' personnel are invited to have their badges blessed for safety and well-being. 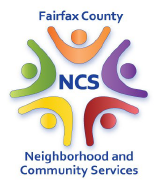 Fairfax County Neighborhood and Community Services is offering FREE Reeve-RxRelax Adaptive Yoga Classes on most Saturdays in April, May and June from 10-11:00 a.m. at Service Source-Oakton Disability Resource Center at 10467 White Granite Drive, Oakton, VA. Yoga and mindfulness can be helpful for over 100 physical and mental health conditions. This seated yoga class is designed for people with mobility concerns, people with multiple health conditions and their caregivers. No prior experience, special clothing or equipment is required. It’s easy-to-do, effective, and a lot of fun! It’s free; but you must sign up to save your spot. Looking for Work? Attend the Loudoun County Job Fair being held on Tuesday, April 16th from 1:00 - 4:00 pm in Leesburg, VA. The goal of this job fair is to give employers and prospective employees throughout the region a chance to meet, discuss job opportunities and find employment. Job seekers are encouraged to attend and there is no cost in doing so. Vets Group IT Training Academy in partnership with Virginia University of Science & Technology Foundation are holding an IT Information Session and Open House. Saturday, April 6th from 1:00-4:00 pm in Washington DC. Tuesday, April 23rd 6:00-9:00 PM, Reston, VA. The first 25 military or a Veteran applicants are sure not to miss the opportunity to attend an event hosted by Google and Warriors Ethos. You will hear talks about topics that set you apart in your career transition and prepare you to succeed in your next mission in life. Submit your resume in advance for personalized feedback by an industry expert at the event. Only 25 spaces available! Project Horse Connect is hosting an Open House & Demo for clinicians and human services professionals on May 3rd from 1:00-4:00 pm. Discover equine assisted therapy & wellness, and learn about our new programs: Teen Suicide Crisis Intervention, a Wellness Women's Community and Recovery groups! RSVP by April 27th. Run As One is a unique engagement opportunity where members of Team Red, White & Blue, Team Rubicon, and The Mission Continues, along with members of their community and veteran supporters come together for a day of solidarity to showcase how exercise, community, and inclusivity combine to combat mental health challenges. The local Run As One even will be held in Washington, D.C. on Saturday, April 13. Participants will begin gathering at 8:30 a.m. at the American Red Cross (1730 E Street NW, Washington, DC 20006) and head toward our starting point on the National Mall at 9 a.m. There will be 2 options to accommodate all interests, including a 3-mile run and a 2-mile ruck/walk. Registration is required. Highlights from ServingTogether for the month of March! Check out what we've been up to, our Network Provider spotlight, upcoming collaborative information and more. April 13, 2019 from 9:30 AM - 3:00 PM. This event will feature information about the VA Home Loan Program, The Home Buying Process, Down Payment Assistance and more. Open exclusively to active military, veterans and their families. Hosted by the Veterans Association of Real Estate Professionals.